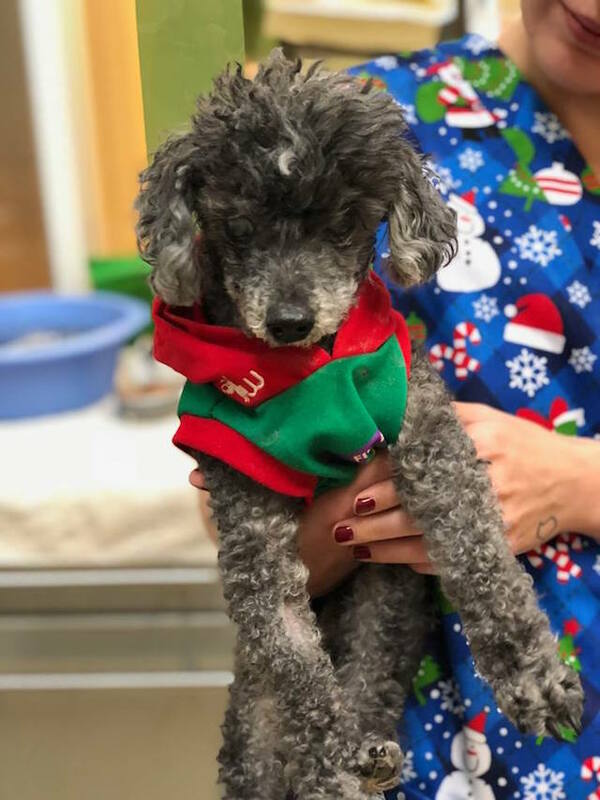 A sweet 18-year-old Poodle was left behind at a shelter for being “stupid” but Figgy just got a new beginning with a new Mom who is loving him like as he deserves. Muttville Senior Dog Rescue saves elderly dogs and ensures they have loving homes in their twilight years. They recently shared how Figgy came into their care. When they checked over Figgy, they found out he was blind and terminally ill and had a probable brain tumor, meaning he would only be eligible for their hospice care program. Fortunately, they found him the perfect hospice home with Eileen, an experienced hospice caregiver who has cared for several Muttville rescue dogs. She thinks Figgy’s perfect, and took him home for the holidays. She will ensure that he has the very best possible end-of-life care. We’re so glad that Muttville and Eileen are able to give Figgy the loving home he deserves for his final days.